And counting. We’ve been manufacturing quality sausages since 1911, using the highest quality meat and most innovative production techniques around. 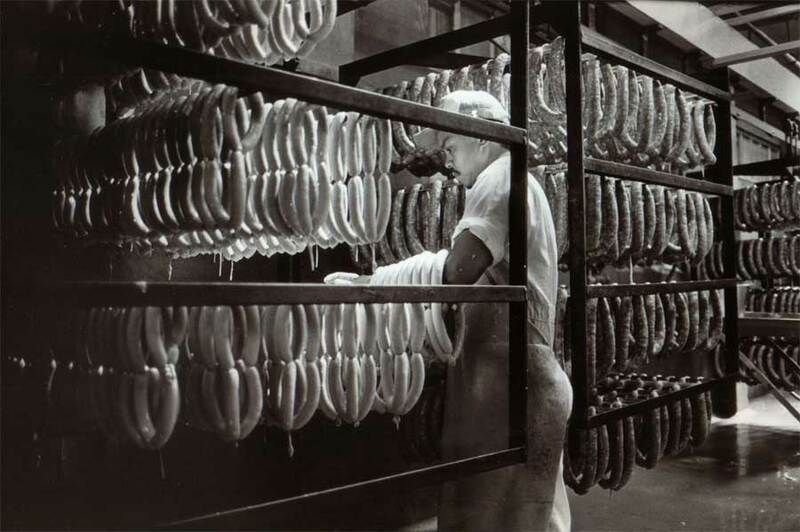 Courage Production, originally Engelhart Gourmet Foods, Inc., was founded in 1911 and is the result of of two well-established San Francisco companies – Home Fine Sausage and Schwarz Fine Sausage – coming together. The company still manufactures Home, Schwarz, and other well-respected food service and retail brands. The Courage promise is to provide its customers with the finest tasting, highest quality products. With Courage Production, you get a century of experience and tradition in every bite. Herman Schwarz established a German butcher shop and sausage business in San Francisco with his partner, Rheinhold Frommer. John Engelhart begins his apprenticeship with a traditional German butcher in Allemendingen, Germany. John Engelhart joins his father-in-law, Ted Wetzel, at Home Sausage Co.
John Engelhart becomes Chairman and installs his son, Robert, as CEO of Home Fine Sausage – and thus the third generation takes the lead. Home Sausage Co. purchases Schwarz Sausage Company. The companies operate in two plants. The combined company builds a new facility in Fairfield, California, effectively merging the two companies. The company is renamed Engelhart Gourmet Foods, Inc. and supports two main brands: Home Sausage and Schwarz Sausage. Engelhart Gourmet officially changes its name to Courage Production.